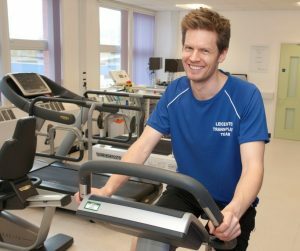 The NIHR Leicester Biomedical Research Centre (BRC) ‘Risk Definition and Standard Operating Procedures (SOP) for Exercise Testing’ have been developed by members of the BRC team with expertise in cardiovascular and metabolic medicine and exercise physiology. This has been done in accordance with best practice and guidelines set out by the European Association for Cardiovascular Prevention and Rehabilitation (EACPR) and the American College of Sports Medicine (ACSM). This document outlines the procedures that are implemented when individuals wish to volunteer for studies that involve any form of exercise. This covers several aspects of pre-exercise evaluation as well as the supervision of exercise testing or training sessions. These remain essential for studies in which participants perform a single bout of exercise on one occasion, as well as those involving an exercise training programme over the course of several days, weeks or months. This document contains an overview of evidence surrounding the associated risk of undertaking exercise (for both active and previously inactive individuals), criteria for stratifying individuals according to their own risk, the specific procedures that are required based on this stratification, and a detailed account of the necessary staff and equipment to perform such procedures.